In the 1980s the performance of Japan’s economy was an international success story, and led many economists to suggest that the 1990s would be a Japanese decade. Today, however, the dominant view is that Japan is inescapably on a downward slope. Rather than focusing on the evolution of the performance of Japanese capitalism, this book reflects on the changes that it has experienced over the past 30 years, and presents a comprehensive analysis of the great transformation of Japanese capitalism from the heights of the 1980s, through the lost decades of the 1990s, and well into the 21st century. This book posits an alternative analysis of the Japanese economic trajectory since the early 1980s, and argues that whereas policies inspired by neo-liberalism have been presented as a solution to the Japanese crisis, these policies have in fact been one of the causes of the problems that Japan has faced over the past 30 years. 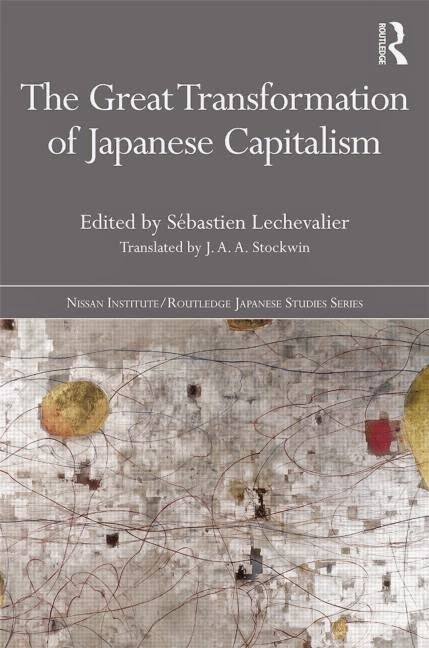 Crucially, this book seeks to understand the institutional and organisational changes that have characterised Japanese capitalism since the 1980s, and to highlight in comparative perspective, with reference to the ‘neo-liberal moment’, the nature of the transformation of Japanese capitalism. Indeed, the arguments presented in this book go well beyond Japan itself, and examine the diversity of capitalism, notably in continental Europe, which has experienced problems that in many ways are also comparable to those of Japan. The Great Transformation of Japanese Capitalism will appeal to students and scholars of both Japanese politics and economics, as well as those interested in comparative political economy.